Daring work from the UK's premier aerial theatre company, a feast of high risk brilliance performed with grace and power. Five performers held within the light of a circular stage begin to play, transforming seemingly simple metal poles into a rich landscape of images, catching the imagination as they build a world before your eyes. Together they face a host of challenges as poles are balanced on fingertips, hung from the roof, swung around, lashed together, climbed up and clung to. The action veering from catastrophe to mastery as the performance grows. Tipping Point is set in the round with the audience sat close enough to hear the performers breathe. 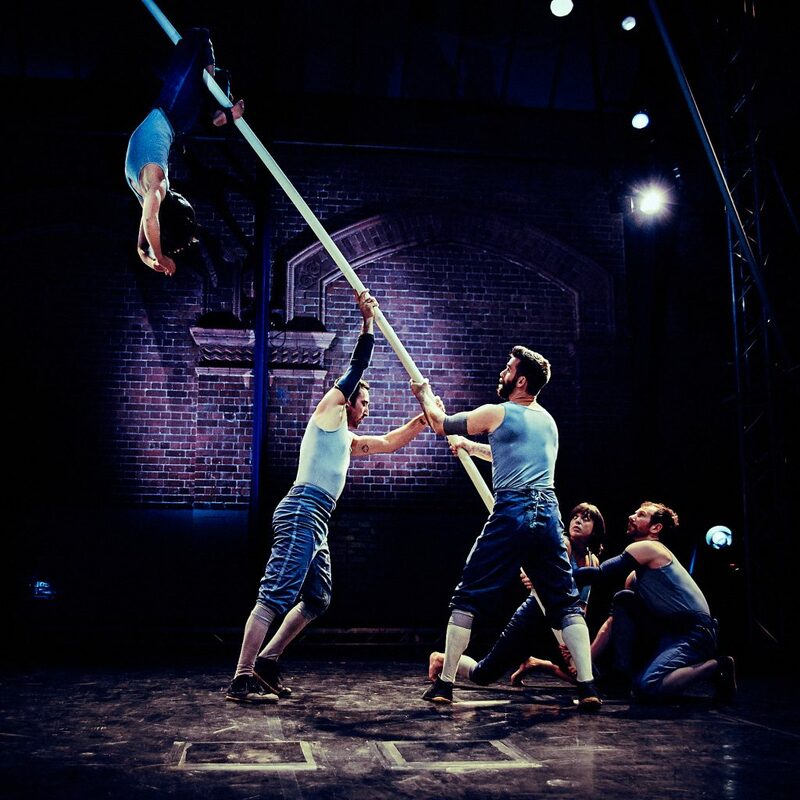 Winners of the Total Theatre & Jacksons Lane Circus Award at Edinburgh Festival 2016, this acclaimed UK company return to Bristol with possibly their finest show yet. Tipping Point from Turtle Key Arts on Vimeo.